This is the first time I have ever ordered a tailored item of clothing and I have to say, Indy has made sure it won't be my last! It's a complete work of art and the pictures really don't do it justice, I absolutely love it! 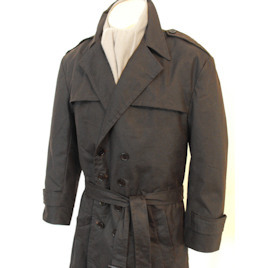 I originally ordered this coat as part of doing the Rorschach costume but I'll be wearing this all the time! It looks amazing and fits like a glove. It has such a presence about it. Thanks Indy!! !